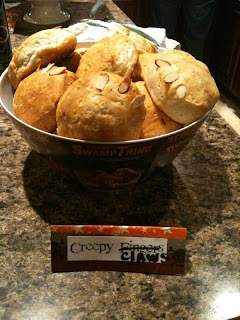 Every year when planning our Halloween my in-laws and I realize that we didn't take pictures of the food! 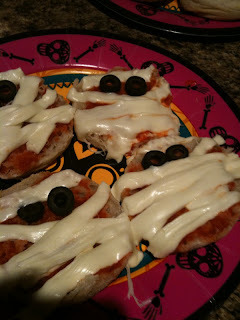 So this year, I took pictures and I thought I would share our Halloween dinner with you! Huh. 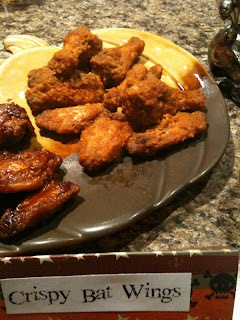 My invite must have gotten lost in the mail... :o) Looks like a delicious time! What a fun idea! 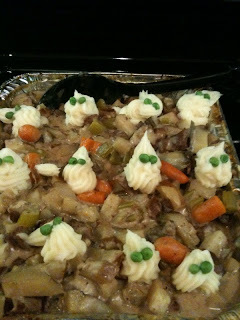 Love those ghostly mashed potatoes! Of course all your food is amazing! Looks yummy! 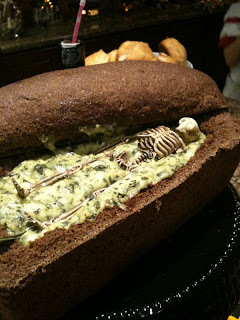 We did the coffin bread bowl too! Everything is so cool! I love the coffin bread bowl thing. I'll have to remember that next year. You guys are so awesome! I'm crashing the party next year. I love the stew with the little ghost mashed potatoes. Too Cute! 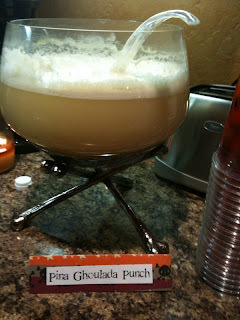 The pina ghoulada looks good too! Hi, stopping by from SITS. Cute, cute ideas! Thanks for sharing!